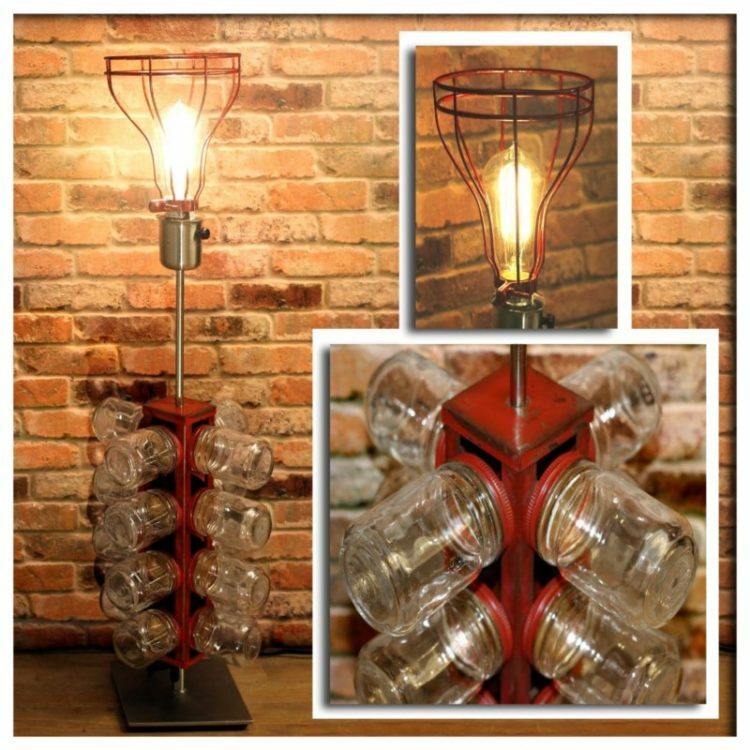 The original inspiration of this industrial table lamp was the Vintage distressed red 24 count Jar rack tower. The jars have all been sanitized and can now be used for many different purposes. I’m unsure as to what this piece was used for previously, but it can now be used for many different things including: Spices, Beads, Coins, Change, Jewelry, Toiletries, Shop Parts, Crafting, etc… Let your imagination run wild! The Stainless Steel base is electrified with new UL Listed electrical wiring. 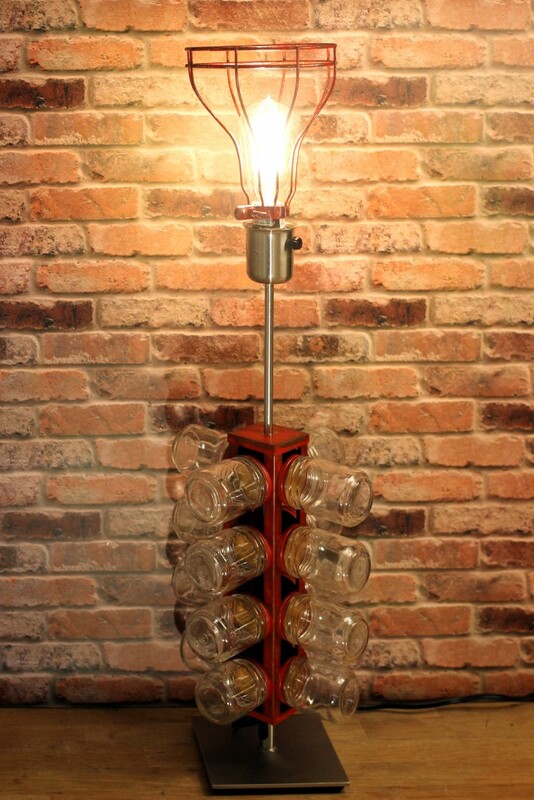 The top light Socket also has a twist ON/OFF switch and is UL Listed and holds up to a max 100 watt light bulb. 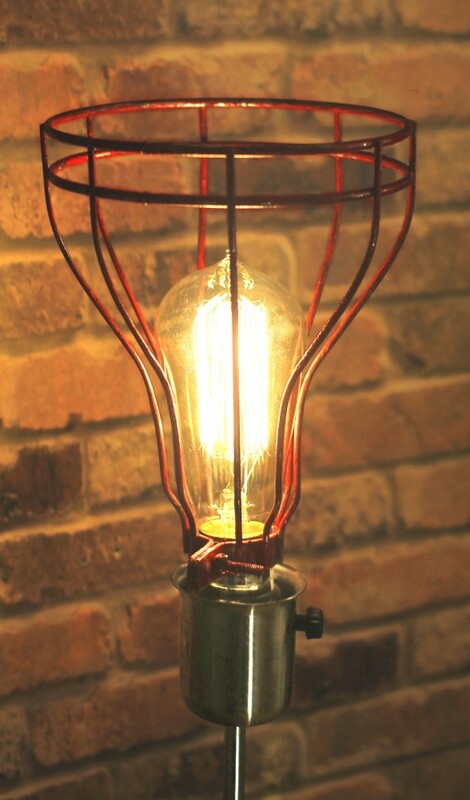 The very top of this awesome lamp is topped off with a Distressed Red Cage that protects the A 60 watt Vintage Edison light bulb as shown. 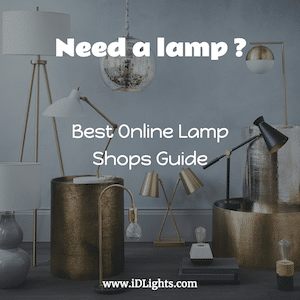 4 – Rubber feet protect the very bottom of this lamp for protection contact surface.